Bemidji State University Soccer was seated as the No. 1 team in the first NCAA Division II Central Regional poll of the 2018 season. While the Beavers have held down the No. 1 spot in the United Soccer Coaches regional rankings for the last four weeks, the NCAA version of the poll, which is voted on by regional advisory committee of six individuals for each region, is used to help determine NCAA Tournament participation and the selection of regional locations. Bemidji State has an in-region record of 13-0-0, while it is 14-0-0 on the season. The Beavers’ other win was a 1-0 victory over NCAA Division I University of North Dakota, Sept. 9, which is not considered in the ranking process due to the Fighting Hawks being outside NCAA Division II. Rounding out the top five in the region are: Central Oklahoma University (14-0-0), defending national champion University of Central Missouri (11-2-1), last week’s opponent and fellow Northern Sun Intercollegiate Conference member Minnesota State University, Mankato (10-2-1) and Oklahoma Baptist University (10-4-0), which BSU defeated 1-0 to open the season, Aug. 30. At the conclusion of the season, the top seven or eight teams from each region, defending on the region, advance to the regional tournament, which is hosted by the two highest remaining seeds in each region, Nov. 9 and 11. The Central Region is made up the NSIC, the Mid-America Conference and the Great American Conference. Last week BSU pushed its record to 14-0-0 overall and 11-0-0 in league play as it went 2-0-0 versus NSIC competition. The Beavers earned a 3-0 victory over Concordia University-St. Paul behind the seventh shutout of the season from Anna Fobbe and saw freshman Sara Wendt score in the 105th minute to earn a 3-2 double overtime victory over No. 22 Minnesota State University, Mankato Sunday. 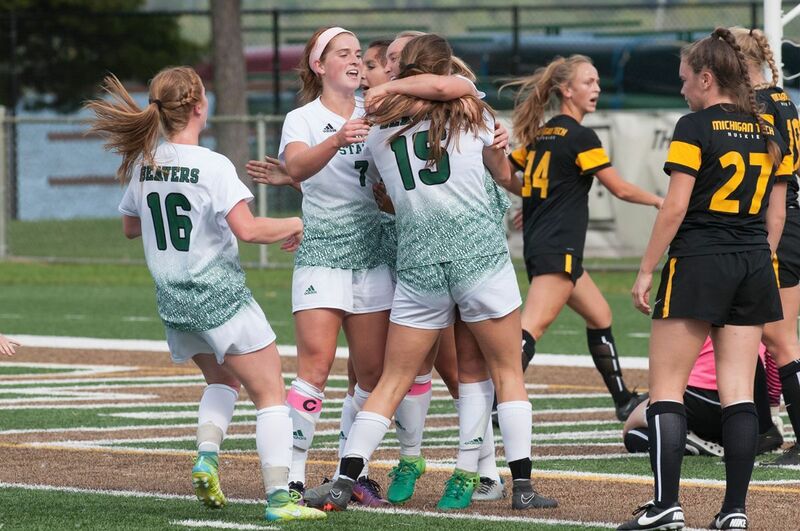 Bemidji State participated in the NCAA Tournament for the first time in program history a year ago, earning an at-large berth after compiling a 14-0-3 regular season. Augustana University 1-0 defeated the Beavers in a shootout after playing 110 minutes of scoreless soccer to end BSU’s season.